Because who doesn’t carry around a clock that looks like this? 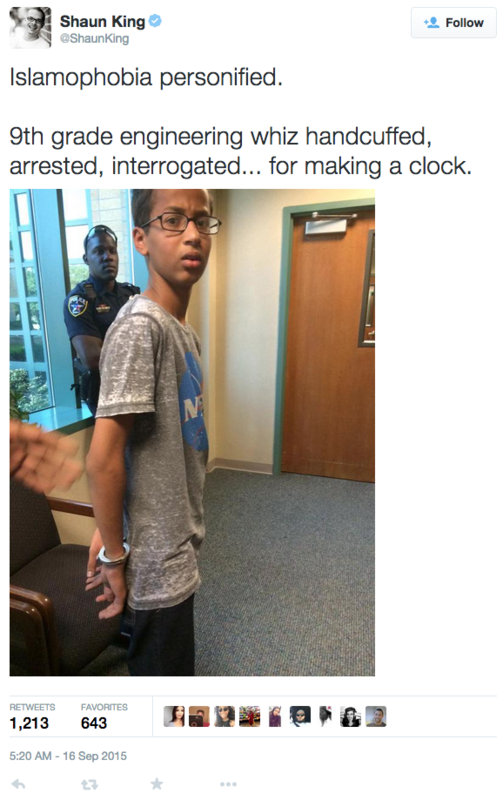 A Muslim whiz kid was arrested Monday after his teachers mistook a harmless digital clock he made for a bomb, sparking concerns about Islamophobia in Texas. 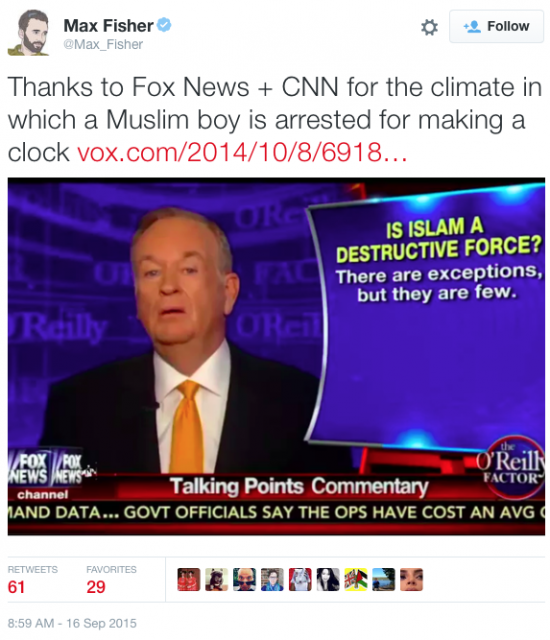 Ahmed Mohamed, 14, brought the clock into MacArthur High School to show his engineering teacher his skill with technology — the ninth-grader builds his own radios in his spare time, the Dallas Morning News reported. 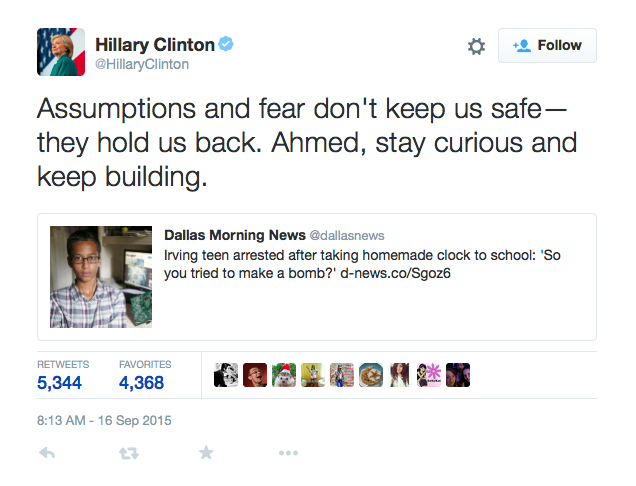 “Here in high school, none of the teachers know what I can do,” Ahmed told the paper from his home in Irving, about 10 miles west of Dallas. He decided to show them: he built a clock using a tiger hologram pencil case and a circuit board. 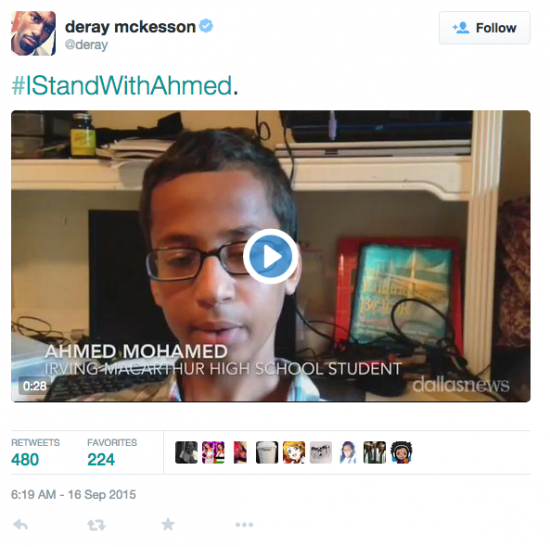 His first period engineering teacher said, “That’s really nice,” before he warned, “I would advise you not to show any other teachers,” according to Ahmed. 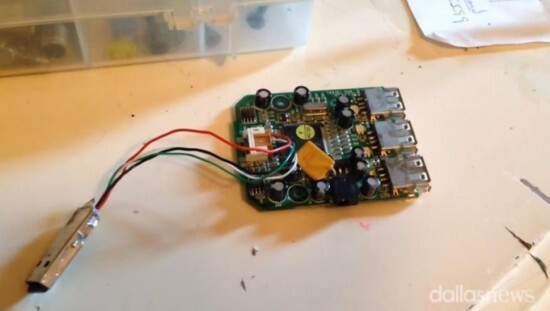 Ahmed tucked the clock into his school bag, but its alarm went off in the middle of English class, forcing him to show his teacher what it was. The media whoring race baiters are circling above like the vultures they are. Update: In related news, Max Fisher is still a drooling invalid.